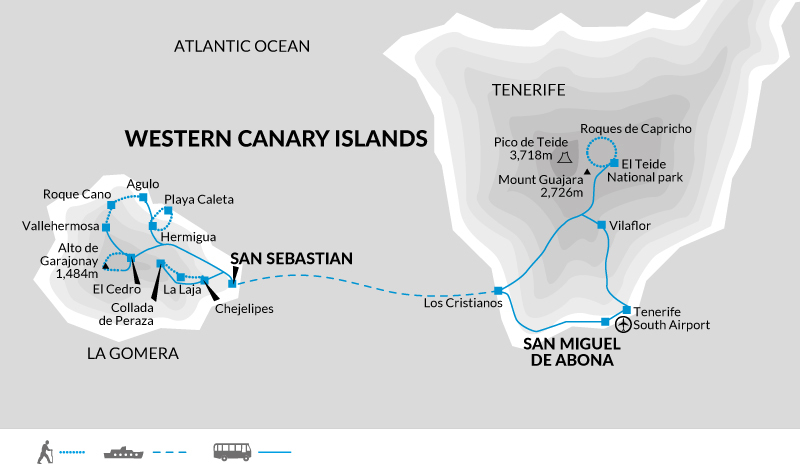 On this tour we visit two of the Canary Islands so we can spread our business over two islands instead of just one. We stay in small locally run hotels / posadas in the smaller villages rather than in the bigger coastal resorts. We walk wherever possible and use small local taxi operators rather than charter buses where possible, and the locally owned ferry instead of the foreign owned Fred Olsen ferry. We eat in small restaurants en route whilst walking. All tap water in the Canary Islands is readily drinkable, so we urge you to take and use a water bottle rather than buying water to reduce pressure on the small islands’ limited resources for dealing with plastic waste. In regard to local people we tried wherever possible to dine out in local restaurants and bars. These were usually the best options. the opportunity to support local conservation.